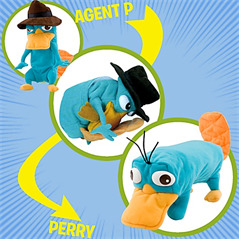 ''Doo-Bee-Doo-Bee-Doo-Bah...'' Listen to Agent P's theme song as you turn him into his alter-ego Perry the Platypus. 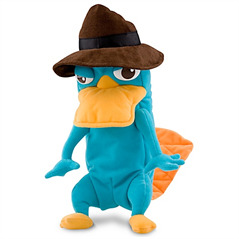 Now our popular Phineas and Ferb: Transforming Perry Plush features fun sounds including Perry's familiar chirping noise. 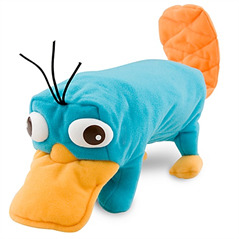 One of the most coveted toys from one of their favorite Disney Channel shows: Phineas and Ferb!